Precision industrial plastic tool making is crucial to the efficient production of quality Injection Mould components. At Topwell In-house design and manufacture of injection mould tools ensures that every detail of the component design is precisely reproduced whilst incorporating the specific needs of the selected polymer.For all over the world, Topwell mould Design, manufacture and development of precision mould tools .Every work step are under customer control ,CAD/CAM integrated design facility. Mold flow analysis to support product design-for-manufacture & material selection. CNC machining facilities. 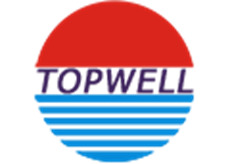 We are professional OEM/ODM of plastic tooling and injection molding,secondary process and product assembly in China.Topwell has developed and manufactured a wide range of tools and plastic products for home products,Automotive, Telecommunications, OA, Medical and Electronic industry. And looking at the catalog, you can know this product is belonging to Industrial Parts Injection Mould, in this catalog you can search Plastic Mould Speaker, Injection Moulding Speaker, Cosmetic Box Injection Mould, Blood Glucose Meter Mould. If you are interested in this catalog you can touch these underline to see more. Topwell is proud of being an innovative company in mold design and efficient manufacturing processes. We are committed to long term development and looking forwards to establishing a strong business partnership with your company.The management team at Topwell welcome you to here and looks forwards to working with your company for many years. 3.specifications about flow,material,radian and so on,we can fit in all you want. Looking for ideal Industrial Precision Parts Manufacturer & supplier ? We have a wide selection at great prices to help you get creative. All the ODM Industrial Parts are quality guaranteed. We are China Origin Factory of Plastic Industrial Injection Mould. If you have any question, please feel free to contact us.